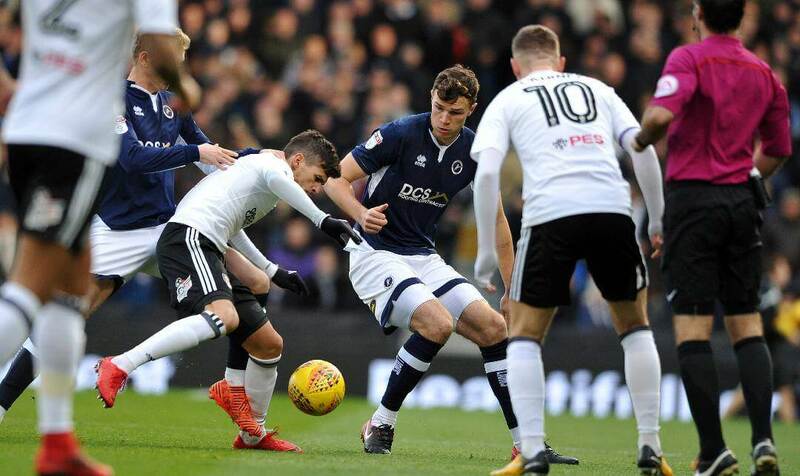 Oliver Norwood scored the only goal of the game with a late first-half stoppage time penalty to defeat Millwall in the London derby at Craven Cottage. 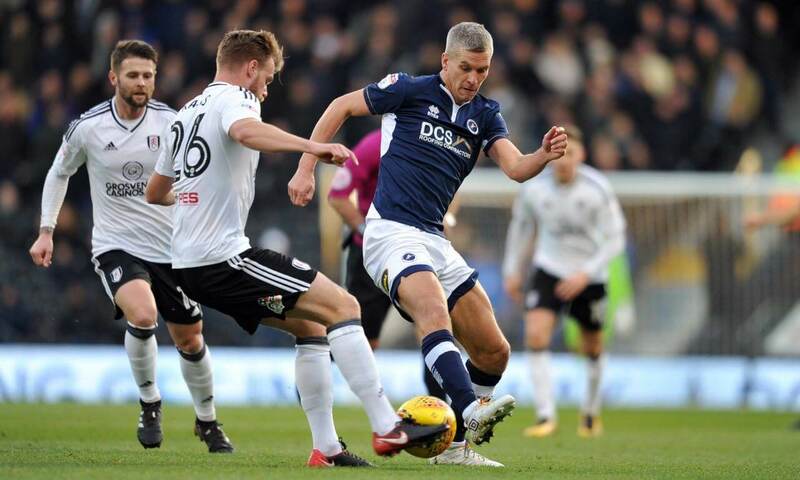 A spirited Lion’s performance could see the fans feel aggrieved and an angry manager Neil Harris bemoan his teams luck on an afternoon where Millwall hit the woodwork twice, once in each half of the game. To be fair Millwall were indeed unlucky and deserved to be making the short trip down to south London with at least a point in their pockets. With this defeat however they now drop another position in the Championship and sit uneasily in 19th place. Following their superb 5-4 midweek classic against Sheffield United and todays win against local opposition the Cottagers move up to 12th in the table level on 26 points with a gaggle of other teams. The goal came from a tackle by Conor McLaughlin for which he was booked for his challenge on Fonte on the stroke of half-time, the former Crystal Palace loanee going down in a heap as the Lions defended a corner-kick. Fulham boss Slavisa Jokanovic described it as a “clear” foul. Oliver Norwood dispatched the penalty as we hit the second minute of stoppage time and it proved enough to settle the contest. Six games without a win now for the Lion’s but the fans should take note that if they carry on with performances like this and lady luck is a little more on their side then should be out of trouble in no time at all. What was scant consolation for the Lion’s was that the visitors had plenty of chances against an unconvincing Fulham defence who let four in during week and twice hit the woodwork before Slavisa Jokanovic’s side could claim only their second victory at Craven Cottage in the entire season and incredibly their first since September. Quite a remarkable stat for a team in the top half of the table. Tom Elliott clipped a post with a free header for Millwall after just seven minutes of the match before then glancing George Saville’s cross badly away from the goal after being left all alone again in front of the posts. He could and should have done better. Again Elliott was in the action and was denied from close range by home keeper David Button and Steve Morison’s first-time lob floated the wrong side of the post. George Saville’s shot then got through a crowded penalty area only to come back off the post and Lion’s fans were cursing their luck as Fulham saw out the game to nick it by the odd goal. The win earned the Cottagers a week’s haul of seven points out of a possible nine and their manager was by far the happier of the two. “This is the Championship and it has not been easy for us. We have to be satisfied with the week we have had. We are fighting without the ball. They sent in many long balls, they are bigger and stronger in those situations. We don’t have the tools to find the solution to these problems. “I think they’ve had four shots from 22 to 32 yards out. Ultimately they created nothing. Tom hit the post in the first half and George hit the post in the second half. We’ve had nine balls bounce in their six yard box. It is the story of our season really away from home. I can’t fault my players in terms of the game plan and attitude – they did exactly what I asked off them. It was two different styles of play – one total football and the other a little more direct. They both impacted on each other at times.